Warner Bros. and NetherRealm Studios have released the new Mortal Kombat 11 Story Trailer, introducing an original, time-bending narrative that continues the franchise’s epic saga. In Mortal Kombat 11, Raiden’s defeat of the evil Elder God, Shinnok, has drawn the ire of Kronika and upset her desired balance between good and evil. 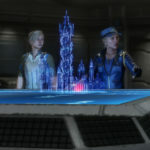 To restore stability in the realms, Kronika has only one option – rewind time to its beginning and restart history. • Cassie Cage, the commander of an elite Special Forces unit and daughter of the iconic duo, Sonya Blade and Johnny Cage, employs her lethal fighting skills to win every battle, with a relentless drive to measure up to her parents’ legacy. 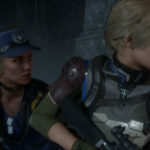 Additional gameplay featuring Cassie Cage will be showcased today, March 6, at 3:00 p.m. CST, during this week’s Kombat Kast on the NetherRealm Twitch channel. • Jacqui Briggs, a competitive fighter trained in kickboxing and martial arts, follows in the footsteps of her father, Jax Briggs, as a member of the Special Forces. She believes her duty is to protect Earthrealm and her family, no matter the risk. • Erron Black is a thrill-seeking outlaw hooked on the adrenaline of chasing his own pursuits. Black is a skilled crack shot selling his services to the highest bidder while dressed in classic western Outworld attire. 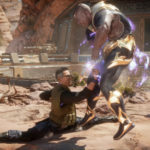 Cassie Cage, Jacqui Briggs and Erron Black join the growing roster of playable Mortal Kombat 11 fighters, alongside Scorpion, Raiden, Sub-Zero, Sonya Blade, Skarlet, Baraka, Geras, Kano, D’Vorah, Kabal, Jade and Johnny Cage. 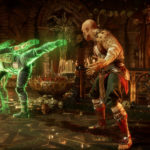 Mortal Kombat 11 will be available beginning April 23 for PlayStation 4, PlayStation 4 Pro, Xbox One, Xbox One X, Nintendo Switch and PC.